Germany's Frankfurt School of Finance & Management has announced that it will deliver its Executive MBA program in English, beginning in 2015. In the new format, classes will mainly be delivered over long weekends. However, every semester, at least one of the modules will be scheduled as a six-day block. Students will also have the opportunity to go on a week-long international trip. The total length of the program will be 18 months. Classes will cover a range of topics important to managers and executives, with modules in "Finance and Accounting," "Negotiation and International Management," and "Practical Ethics and Entrepreneurship," among others. According to the school, a limited number of scholarships, valued at up to €15,000, will be available. "In particular, women working in managerial positions in industry are invited to apply for scholarships," according to a statement from the school. "Scholarships are also available for executives from small and medium-sized enterprises, international students and female students." The school will no longer offer its EMBA program in German. To apply for the program, interested candidates should have at least five years of work experience, a bachelor's degree or equivalent, and very good English skills. The English-language version of the EMBA is set to launch in September. 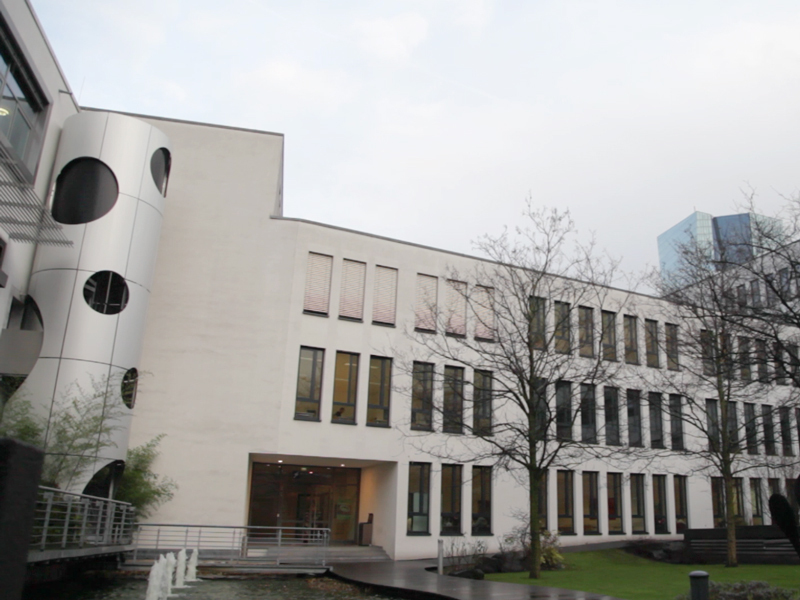 Last fall, Frankfurt School of Finance & Management launched a full-time MBA program, which is also offered in English. Interested candidates can learn more about the new English-language EMBA or the school's MBA at one of Frankfurt School's upcoming on-campus information sessions, on March 12th, May 6th, May 12th, May 21st, or June 18th. To learn more or to apply, please see Frankfurt School's EMBA webpage, or go to the school's full profile on FIND MBA.